It is told that in 1792 a Carthusian monk presented the young Muelhens couple with a valuable wedding gift. 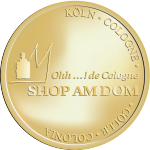 It was a secret formula for the production of an ‘aqua mirabilis’, later called Eau de Cologne. Wilhelm Muelhens soon realised the value of this formula and founded a company for the production of Eau de Cologne at Glockengasse, where the original building can still be found today. 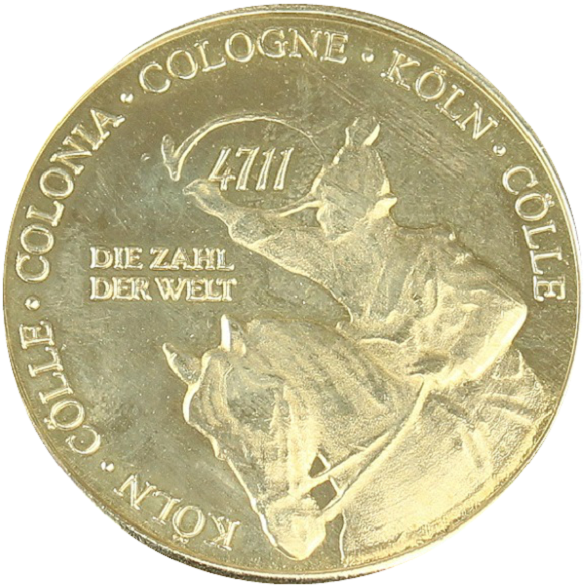 Number 4711 was the house number that was given to the factory at Glockengasse during French occupation of the Rhineland in the early 19th century. The picture of the French military officer, painting the house number 4711 on the facade while sitting on his horse, is a product of advertising. A piece of tapestry which had been ordered and made in the 1920s, served as a model. The scenic version of it spread widely in the 1950s and the 1960s.